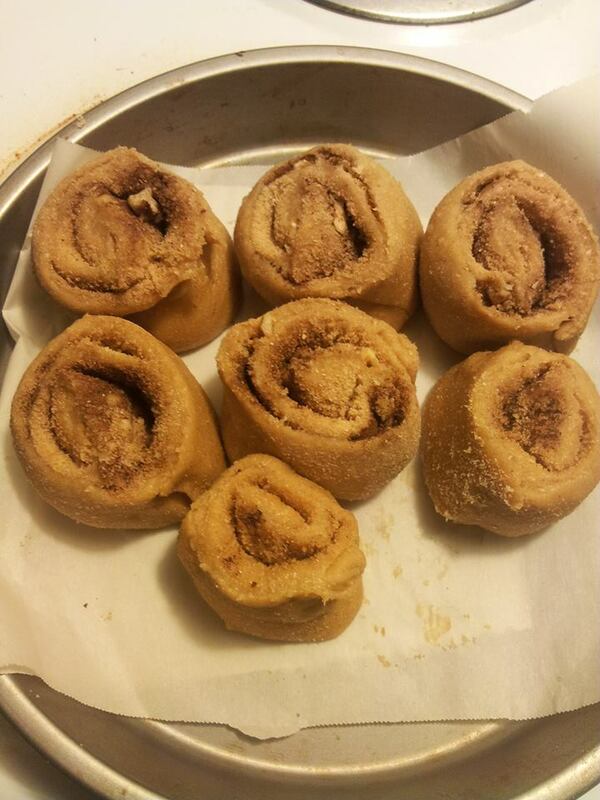 While we don't actually use cinnamon in these rolls, Cardel does call them cinnamon rolls. I love these and want to make them myself. I ordered some kamut flour today from iherb but I feel any flour would work. I would be interested to see how these come out with spelt flour too. Cardel says, "Sittn around today decided to make a lil snack. Been a while since I made these. 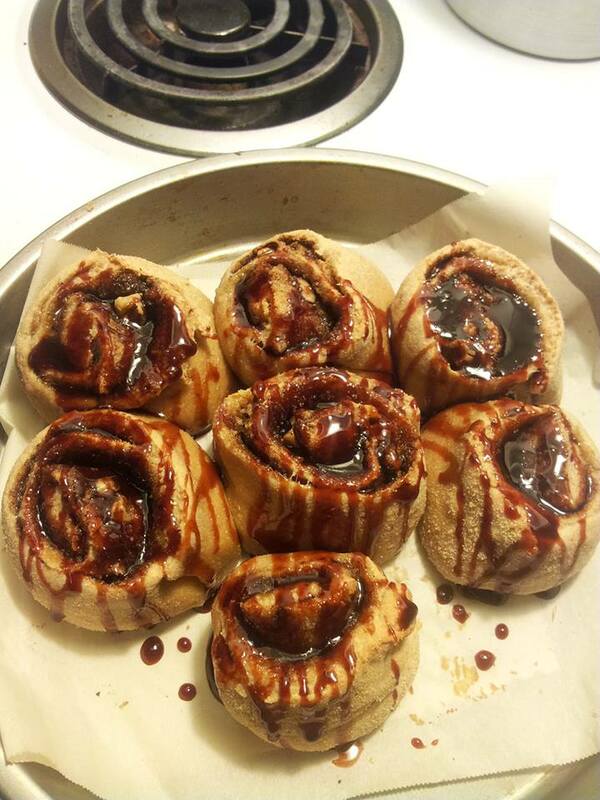 Vegan alkaline cinnamon rolls...from scratch. 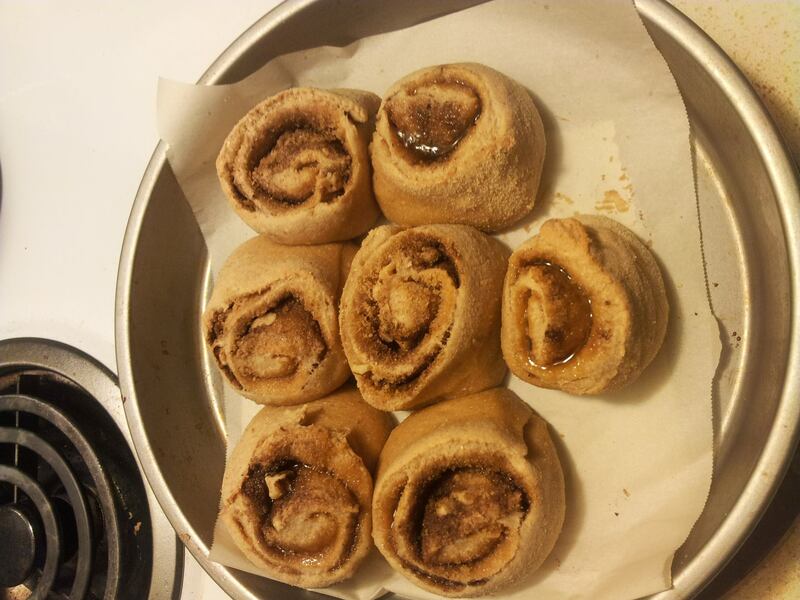 Kamut flour, date sugar, clove, grapeseed oil and drizzle with date syrup. Before oven, after and final pics. Guilt free!!!" In a bowl place the flour, oils, water, milk and Perrier water. Mix well. With your hands knead the dough until smooth. Place some flour on a board and roll out the dough to a rectangle. Using more oil, brush the surface of the dough. Sprinkle on the date sugar mixture and top with chopped walnuts. With your hands lightly press the walnuts into the dough. Carefully begin to roll up the dough starting from both ends. When completely done, slice like the photo shows in the photo. Place in a pan that has been sprayed with non-stick spray. Bake in a pre-heated oven for 20 to 25 minutes. After the rolls have cooled, drizzle on the date syrup. This recipe courtesy of Cardell Williams. Follow him on Face Book Here.